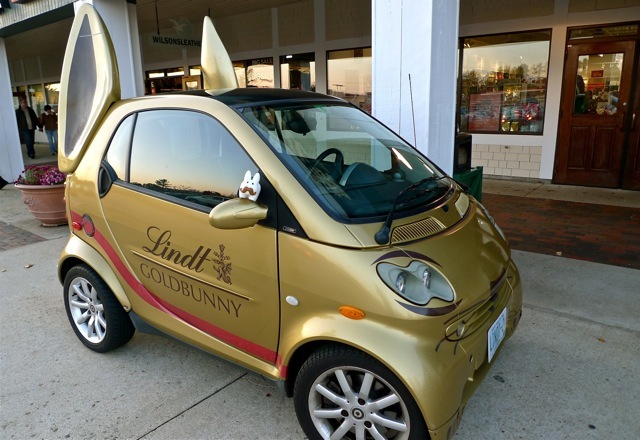 Pipkin happened to be in the neighbourhood of a Lindt chocolate shop when he came across this Smart car painted gold and detailed with labbit ears and bunny face, sitting outside the shop! 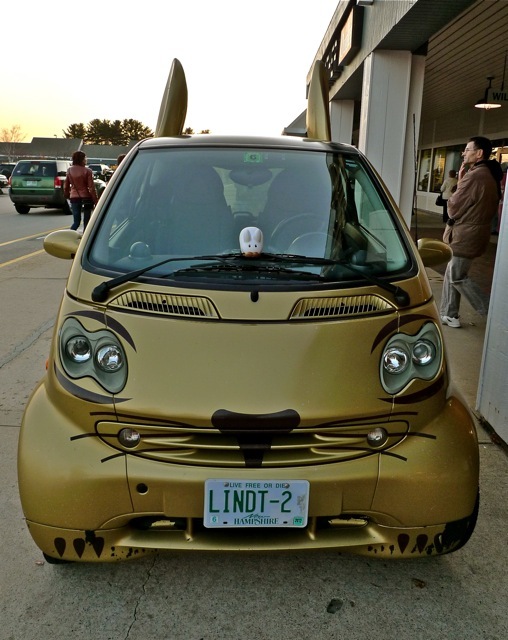 He couldn't get inside, but he did hop around its exterior to admire the handsome gold paint and painted whiskers. 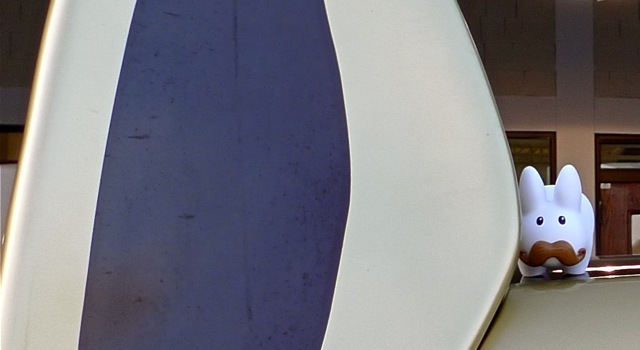 If only it were made out of chocolate...but then it wouldn't last long. After a quick check around the ears (they were pretty clean back there), Pipkin went into the shop for a free nibble. 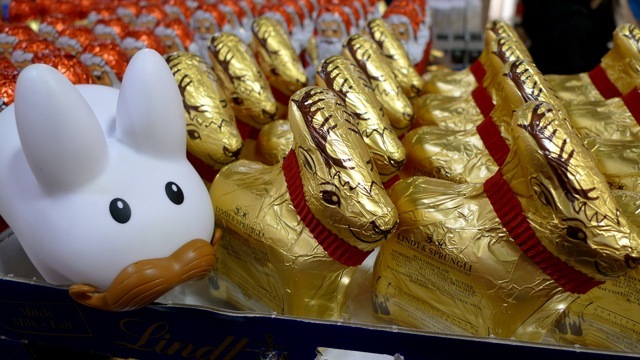 Sadly, there were no chocolate bunnies, but these chocolate reindeer looked bunny shaped.